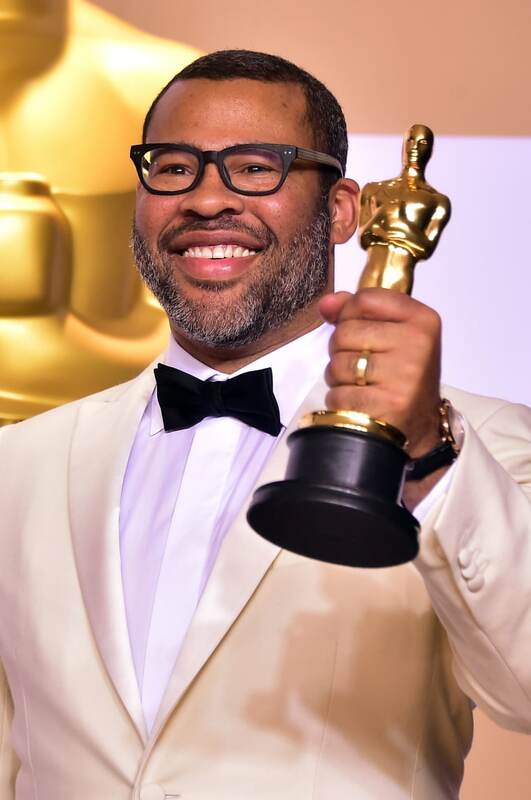 Jordan Peele became the first black writer to win an Oscar for Best Original Screenplay last night, taking home an Academy Award for Get Out. In a press conference backstage, he told reporters that the absence he filled had an effect on him he was forced to ignore, saying "I almost never became a director because there’s such a shortage of role models." "I’m so proud to be a part of a time, the beginning of a movement where I feel like the best films in every genre are being brought to me by my fellow black directors," he continued. "It’s very special, and I think that goes for all areas of inclusion." He also noted that Whoopi Goldberg's acceptance speech for the Academy Award for Best Supporting Actress for 1990's Ghost inspired him to make movies. He told reporters that he called her after being nominated to thank her. "An award like this is much bigger than me," he said. "This is about paying it forward to the young people who might not believe that they can achieve the highest honor in whatever craft they want to push for....You’re not a failure if you don’t get this, but I almost didn’t do it, because I didn’t believe that there was a place for me."